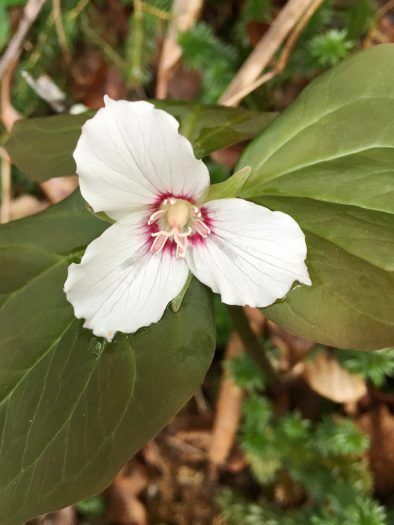 Wildflowers are everywhere you look. 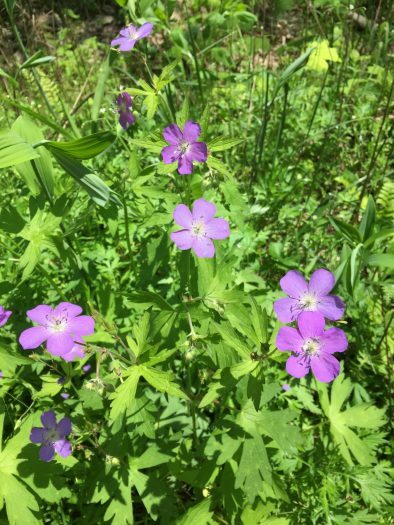 From the more common wild geranium to the lesser seen bird’s foot violet, they come in a variety of shapes and colors. 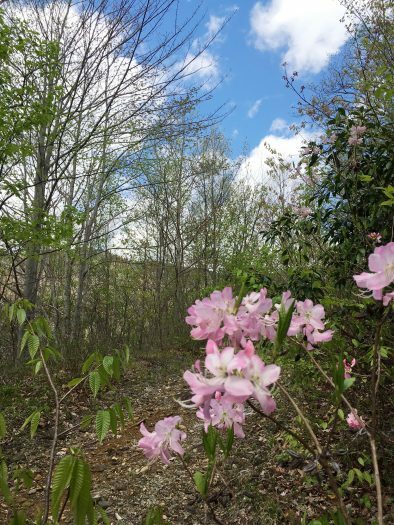 Shrubs that bloom in the spring stage the most spectacular show, especially the native azaleas, which are members of the rhododendron family. We have two species of pink ones (R. vaseyi and R. nudiflorum) and one of orange (R. calendulaceum), though the orange can range in hue from yellow to red. 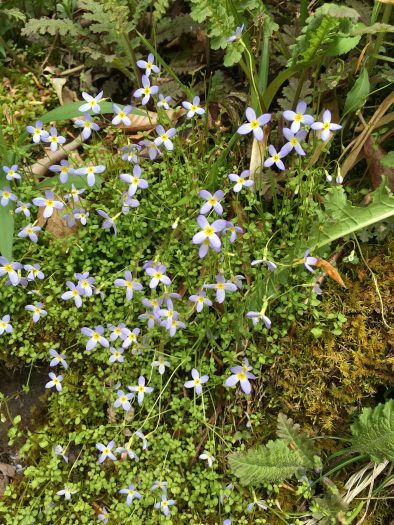 Wildlife, whether small or large, is almost always part of a spring walk. 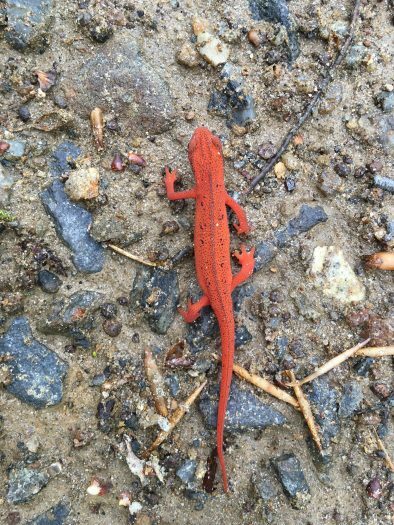 Hikers on cool mornings often encounter this brightly colored salamander, the red eft. 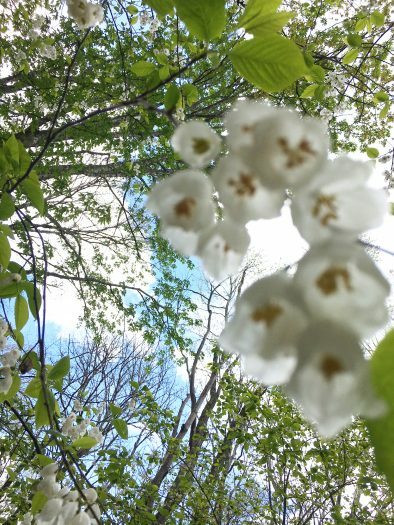 Blooming trees, like this Carolina silverbell, add another dimension to springtime walks. Rushing water provides the soundtrack for most local hikes. 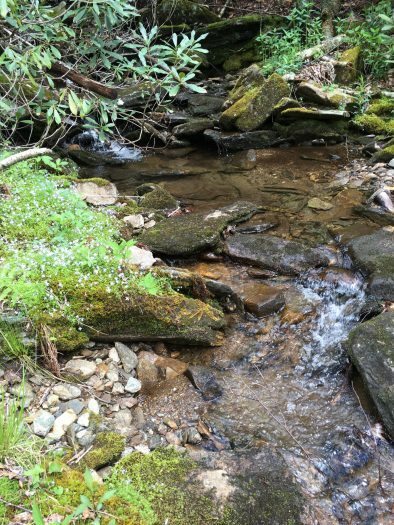 It’s hard to be far from water in Jackson County, and spring rains produce an abundance of sparkling water. Blue skies in springtime seem to be the bluest of all. 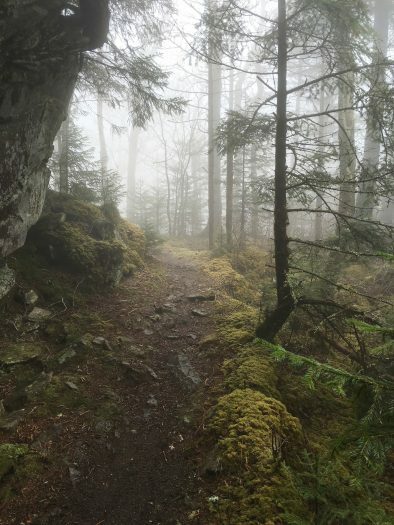 Misty mornings have their own charm, softening the landscape and making the woods seem new. 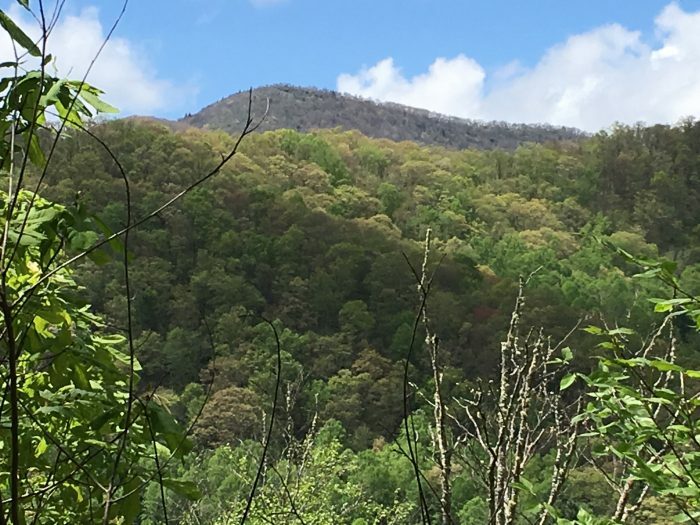 Mountain views, such as this one of Charley Bald from a Forest Service Road, make any trip special. 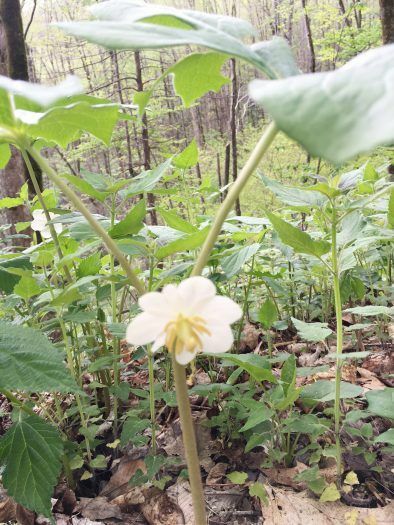 More wildflowers, such as the delicate painted trillium, larger Mayapple and tiny bluets, brighten our local trails and forest service roads. Finding out what’s out there is perhaps the best reason of all to hike. 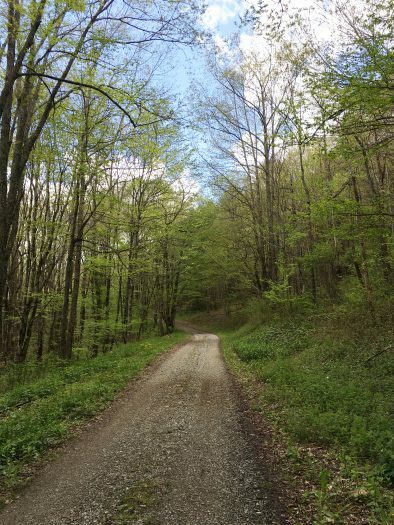 Whether you choose a local trail, such as in Pinnacle Park or up Whiteside Mountain, or pick a Forest Service road, spring beauty will surround you, and you’ll learn what’s over the hill and around the next bend.